Due to limited transportation or health issues, many elders can’t get out to bring back groceries or other needed provisions. Many elders may not have a telephone so reaching family, friends or neighbors can be difficult. Many elders experience health issues which can include joint problems, heart and other organ disease, depression and dementia. These issues can affect elders’ ability to feed and dress themselves, walking or getting to the bathroom. Visits by “Helping Hands” companions two to three times a week can provide elders with the means to live in their homes with more comfort and dignity. Furthermore, the Helping Hands companions file a report after each visit. Upon review of the report, a case manager in the Elders Helping Hands office can share areas of concern with the elder’s family or community leaders to get additional, needed assistance to the elder. Elders Helping Hands does not charge for our services. We fund our services through the generous gifts of our donors. 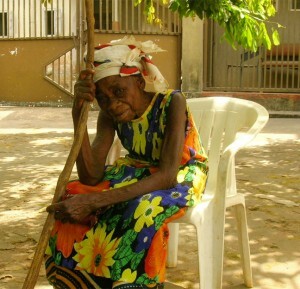 Please visit our donations page and help an elder live their lives in dignity.